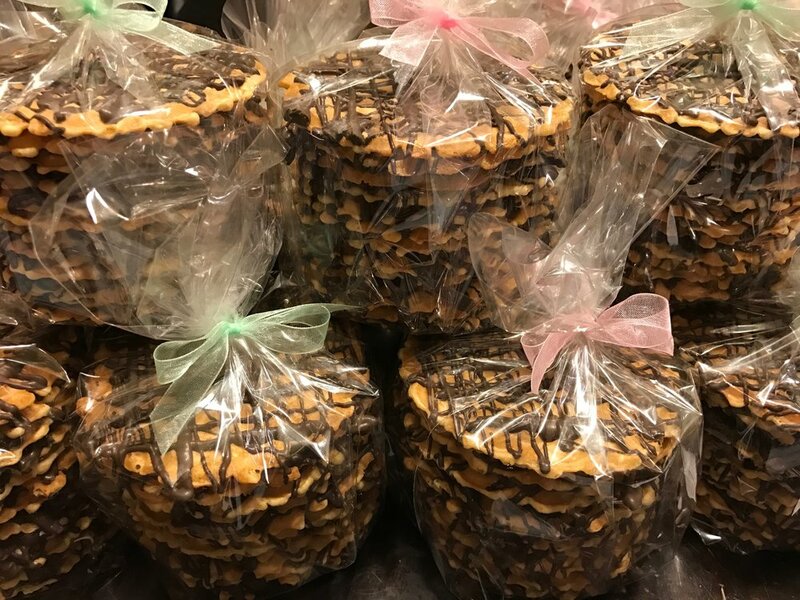 Lily’s chocolate business grew out of her love for chocolate-covered pretzels. She ran her small batch chocolate business on a part-time basis for over 20 years while also working as a legal assistant. In March 2017, she left the corporate world to take her chocolate business full time. Lily's Chocolate Paradise sells over 3 dozen chocolate items including chocolate-covered pretzels, graham crackers, Oreos, potato chips, pizzelles, mango and ginger slices, sea salt caramel cashews, dark chocolate almonds, pistachio bark bars, cashew turtles, caramels, marshmallows, peanut clusters, coffee beans, raspberry jelly sticks and many other chocolates. Stop by for a taste of these chocolate goodies during Sugarloaf Crafts Festival. Take some home for yourself and all the chocolate lovers in your life.